According to the Centers for Disease Control and Prevention (CDC), more than half of Americans will experience a mental health condition in their lives. Yet many Minnesota counties report that people are unable to get appropriate care when they need it. 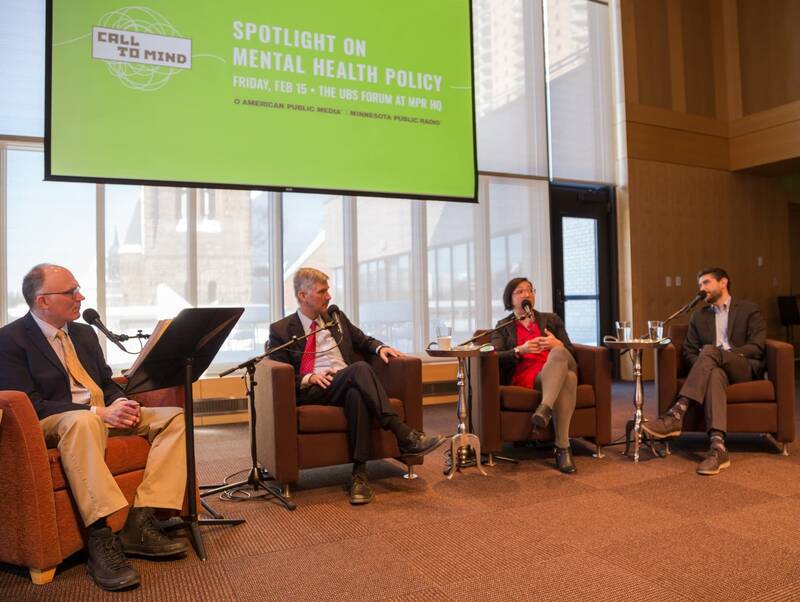 MPR News Political Editor Mike Mulcahy hosted a conversation about why people who need mental health care are unable to access it, and why funding challenges remain a decade after federal mental health parity law was enacted. This event, recorded in MPR's UBS Forum, is part of Call to Mind, Minnesota Public Radio's initiative to foster new conversations about mental health.